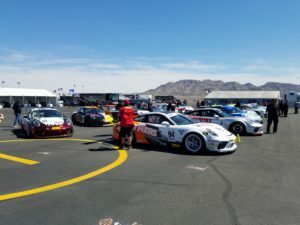 Newport Beach, Calif. (4 April 2018) – After a successful launch to the 2018 season at Las Vegas Motor Speedway in March, Pirelli Trophy West USA is set for Round 2 of competition this weekend as the growing all-Porsche championship heads to the Palm Springs area for a double-header event at the Thermal Club. 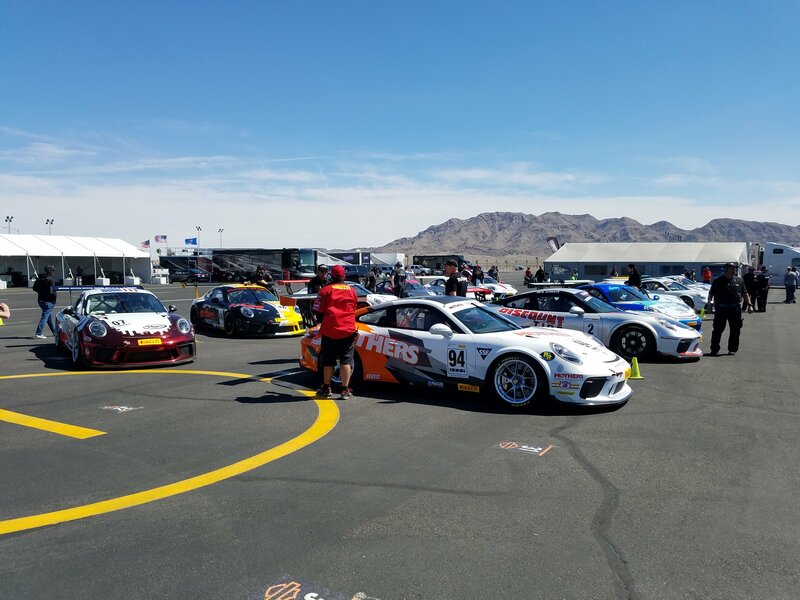 With a new weekend race format and several new initiatives from the series to continue to develop a robust paddock, Pirelli Trophy West USA is set to stage Round 2 at a familiar track for many of the competitors. 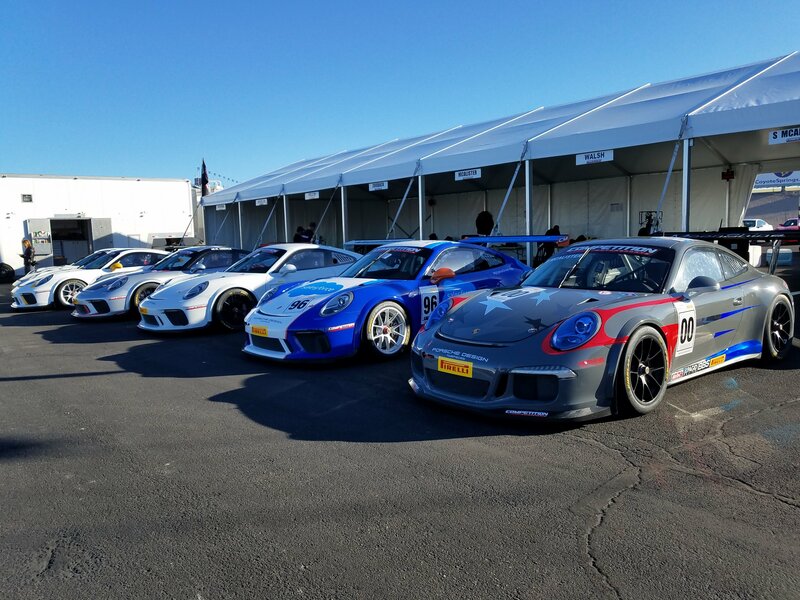 The 2018 season marks the first for the Competent Motorsport-managed series to feature Pirelli Trophy West USA race weekends as stand-alone events, and the visit to Thermal Club will build on a strong start to the year. A new class structure for 2018 will see a split that will feature separate races for entrants utilizing the potent Porsche GT3 Cup (991.1 and 991.2) machines and a second race group for drivers putting the capable Porsche Cayman GT4 (MR and Clubsport) to their designed use. With the two race groups, the Thermal Club event will feature five (Diamond, Platinum, Diamond Masters, Silver & Bronze) classes in action. The Thermal Club hosted the official series test earlier this year which will allow for a sense of familiarity for many of the drivers who are eager to return to the technical circuit. 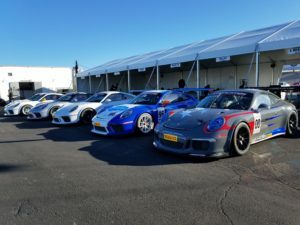 Designed by Alan Wilson, the private motorsports venue opened in 2014 with 4.5 miles of track surface that has the flexibility to run some 20 different formations. The series will utilize the four-mile, 24-turn GT Track, comprised of elements from all three of Thermal’s configurations: the Desert, North Palm and South Palm Circuits. 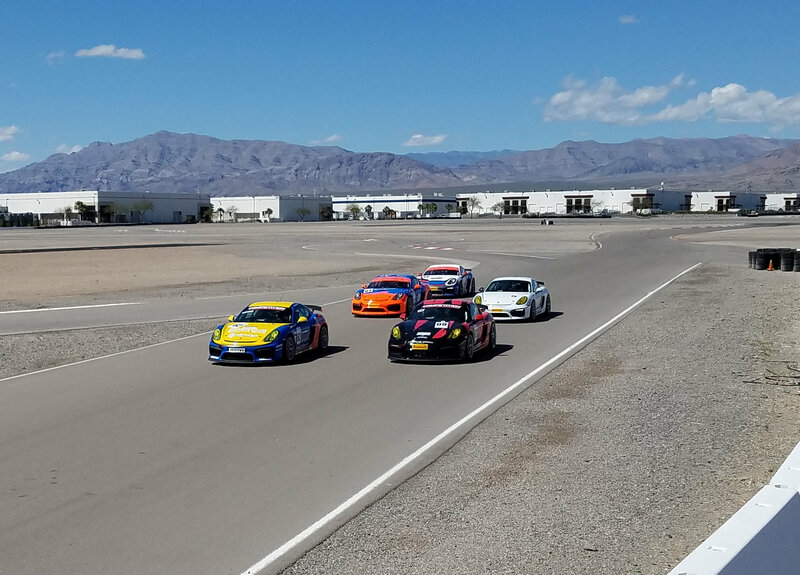 With several new racers set to join the series this weekend at Thermal, they will be taking on a strong roster of established competitors who will all be targeting the top step of the podium. Michael Zuieback will be one to look out for as he will be aiming to continue his points lead for the Diamond Masters class after he scored back to back wins in Las Vegas, with Kevin Woods and Jonah Yokubaitis splitting the Diamond victories in the opening event to kick off their campaigns with 2017 champion Loren Beggs emerging from the weekend with the Diamond class points lead. Sean McAlister, who is the current Platinum class point leader, will be looking to broaden his lead heading into the race weekend, on top of continuing his winning streak at the circuit. 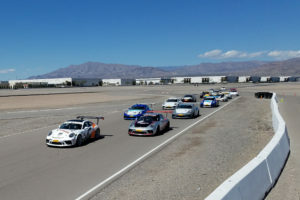 Round 2 of the Pirelli Trophy West USA will feature Races 3 and 4 of the season with three days of on-track activity including two race days which will each include qualifying and forty-minute flag to flag races. Updates will be posted at https://twitter.com/pirellitrophy as well as https://www.facebook.com/PirelliTrophyWestUSA/, and https://www.instagram.com/pirellitrophywestusa/.